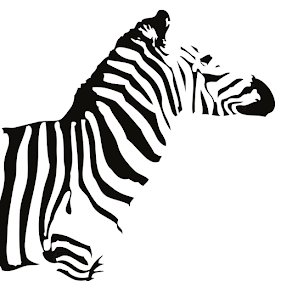 Welcome to Zebra Consulting Group! 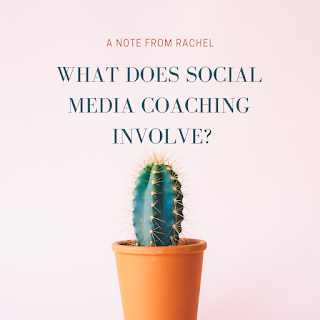 If you’re looking for advice and practical help with your social media marketing or other aspects of digital marketing, you’re in the right place. Strategic advice and support, whatever your current stumbling block. Getting you where you need to be faster. Recommendations and actionable advice for implementing digital plans. Helping you stand out from your competitors. Wherever you are right now with your level of online efforts, we’ll help springboard you to the next level up. There's a lot of writing to be done these days: website copy, social media copy, blog writing. I’m a techie with a knack for writing, so I’ll make sure your copy is working hard for you to push you up the search engine lists organically. Most of all it’s about connecting you properly with your rightful audience and making you and your business sound as close to reality as possible. I also have skills in tender writing and bid writing so if you're looking for that as opposed to digital marketing copy-writing, do get in touch! Some businesses genuinely don’t have the time for all the implementation – you’re busy running the business and are sick of staying up till midnight managing social media notifications. We’ll take the hassle away so you have peace of mind knowing that your social media is planned out properly, implemented and managed with integrity, accuracy and common sense, and you can have as much input as you need and want. We’ll grow your followers, promote your business, your products, your services and handle all aspects of your online brand and reputation management. These are blog notes from my video in which I explain why values work is so important in attracting the right clients who will be the best fit for you - and you for them. This advice works for all business owners. In the video I used the example of an Independent Financial Advisor to illustrate the points I'm making. Video link is here for those who’d rather watch than read. It’s true that doing work around your values feeds into your social media captions and hashtags – just to explain my point, I will use the example of an independent financial advisor (IFA). This is for any business owner or anyone who wants to attract an audience on social media. Let’s say you’re an IFA and you want to know the best way to use social media to attract clients. It’s most important to be YOU. You offer the best service and attract the right clients when you are in your own zone of genius, when you use the images and words that truly describe YOU – the images you have taken on your phone, and the words that flow out of your own mouth. That’s when you’re performing where you should be. Then you’re portraying you as you are, not as you think other people want you to be or expect you to be. For every IFA there will be the right set of clients. What we ideally want is to match you up with the clients who feel comfortable with you, and you with them. often people will seek financial advice at a really important junction in their lives. Whatever is your own preference, state that – you cannot fail to attract the right people when you use your own words and your own mindset. You may have a grounded approach that attracts sensible family oriented achievable goals. Revolve around maintaining current lifestyle and planning for kids going to university, paying off mortgage early, estate planning. Traditional things we assume people want advice for and then tell stories around those common experiences. People recognise that as their own situation, and say yes, this person understands me, I will go to them for my advice. However to go beyond that and attract the clients with the right mindset, you’ll need to move into values which touches on emotions. Don’t forget people are often emotional when they make financial decisions. Upwards of 2 million posts on each of these hashtags tell me a lot of people aspire to this. If you’re the person to help them get it, go for it. But only if you feel this is your zone of comfort and it matches with your services. All of this is about values. Taking the time to understand your own values is really important in attracting the right clients to work with you. Every area of our lives works better when we match up with the people who share our values. That’s why I’m really strong on business owners being able to communicate their true values on social media as the key thing that brings in quality clients.